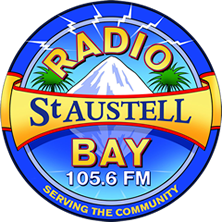 Welcome to Radio St Austell Bay! The station is run by Station Manager Sheila Vanloo, with the help of our Working Groups - We're hoping to be profiling some of these groups soon! In the mean time, we're always interested in hearing from people wishing to support us, or to get involved - the more the merrier! You can contact our Volunteering team - on volunteering@rsab.org to see how you can help! 24 Hour Fundraising Marathon 2014 - Now Complete! Our 24 hour radio marathon in 2013 was such a success that we are holding our second marathon commencing at 7pm on Saturday March 22nd running through until 7pm on Sunday March 23rd 2014. This year 2 presenters, Mark Norman and Luke Howe, will be on air for the full 24 hours with support from the rest of the RSAB crew. Here is a guide to the many ways of becoming involved and assisting with our fundraiser. If you would like to support us in any way, please do not hesitate to contact us by emailing info@rsab.org or by calling Mark on 07818 800809. Well done to Mark Norman for completing another 24-hour radio marathon, and raising an estimated £1300 in the process! Great work Mark, and thanks from all at the station for your sterling effort. Thanks also to all the presenters who joined him during the event, to everybody who donated, and of course to all the listeners whose presence at the other end of the radio waves kept him going. Your Community Radio Station Needs YOU! Volunteers are the essential ingredient that make RSAB happen. Radio St Austell Bay would not be possible without the amazing people who give up their free time to come in and volunteer on a regular basis. We are a community radio station run completely by it's volunteers, which means we are always looking for new members to join our exciting and enthusiastic team. There are so many roles at the station for people to get involved with, it's not all making cups of tea and answering the phone, you know!